Rarely available Dry Dock Boat/RV/Houseboat Storage facility adjacent to Lake Oroville. 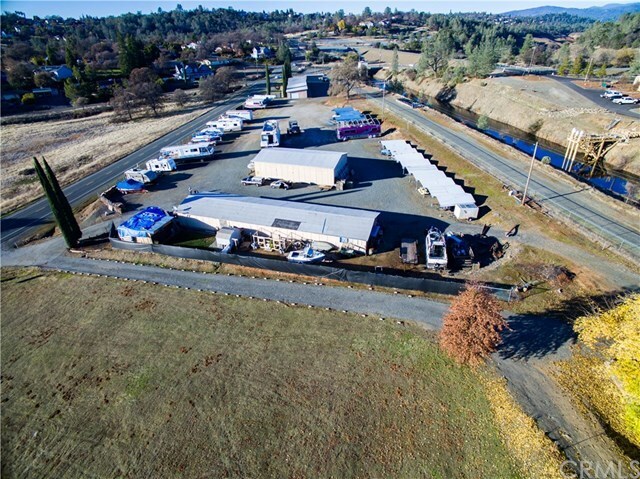 This established boat and RV storage business is located on 4.23 acres of land just 5 minutes from Lake Oroville's largest Marina and boat launch, Bidwell Marina. This property offers over 90 spaces for storage which includes open air storage, covered storage and enclosed storage units with additional undeveloped land to expand the operation. Property also has an 1,152 sqft 2 bedroom 2 bath residential unit currently rented with tenants. This is an established business with great rental history and room for expansion.